New member - Lake Houston Fishing! I just found this site and really like the looks of it. I am retired and live in The Commons of Lake Houston, Huffman area. 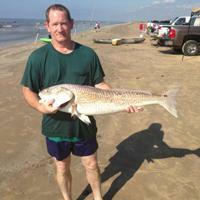 I am new to lake Houston and would like to fish with others that know the lake. I have a bass boat and will be glad to drive. 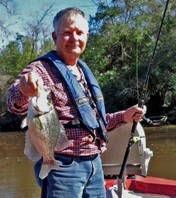 crappie and white bass in the spring. Welcome BigG. There are a few folks on here without boats and they might be contacting you about fishing. Good luck out there. I am in a similar situation. 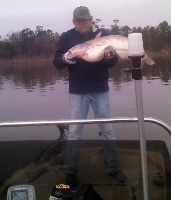 I am new to this forum and have never fished Lake Houston. If someone that knows the lake wouldn't mind showing me around, I would be grateful. I still have to work to pay the bills, but have enough vacation banked that I can take a Friday or Monday off for those that do not like to fish on the weekends or just have less traffic on the lake. We can use my boat or yours. Good judgement comes from experience. Experience is usually a result of bad judgement. I have fished LH for at least 10 years and know the lake well. I sold my boat last year but wouldn't mind helping anyone out who needs it. I have a busy schedule but we can attempt to coordinate PM me if interested. 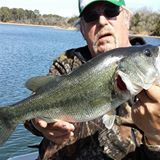 Hello I love the sport of Bass fishing I know all of the lake in Texas well As i used to have a Bass Boat myself.I am willing to share expensed & meet you as I am retired too ! I dont have a boat but know Lake Houston well Good Bass fishing Boat dock Brush,Structure & would like too go Bass fishing if interested let me know! Thanks R.L.